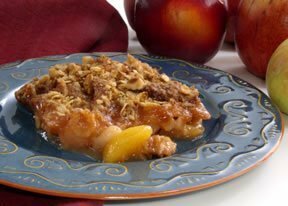 A fantastic dessert combining the three complementary fruit flavors of pears, peaches, and apples. Serve warm with a scoop of vanilla ice cream or a dollop of whipped cream for a scrumptious end-of-summer treat. Enjoy the wonderful season of these fresh fruits. Information on buying and storing peaches, along with instructions on how to prepare them for all your delicious peach recipes. See step-by-step instructions on how easy it is to freeze blueberries for all your delicious recipes throughout the year.